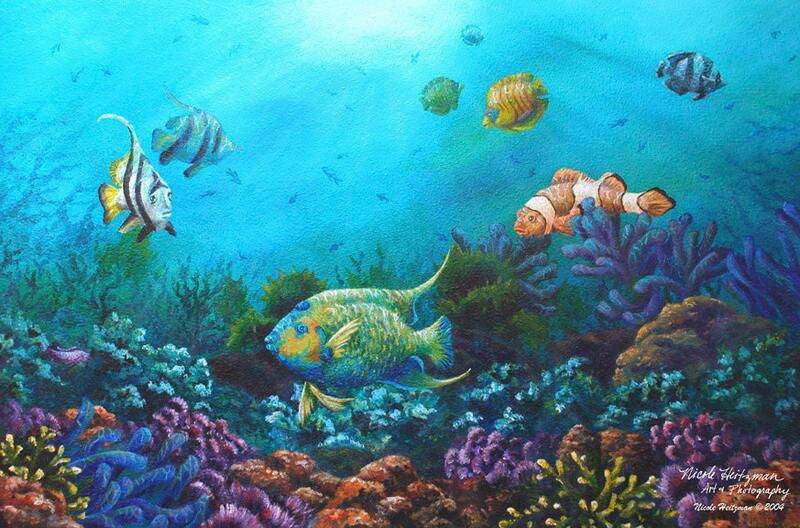 "Waters of Paradise" is a very vibrant ocean scene painting by artist, Nicole Heitzman. She has always loved the beauty and colors of the ocean. This image would go well with beach decor or it'd look great in a child's room.